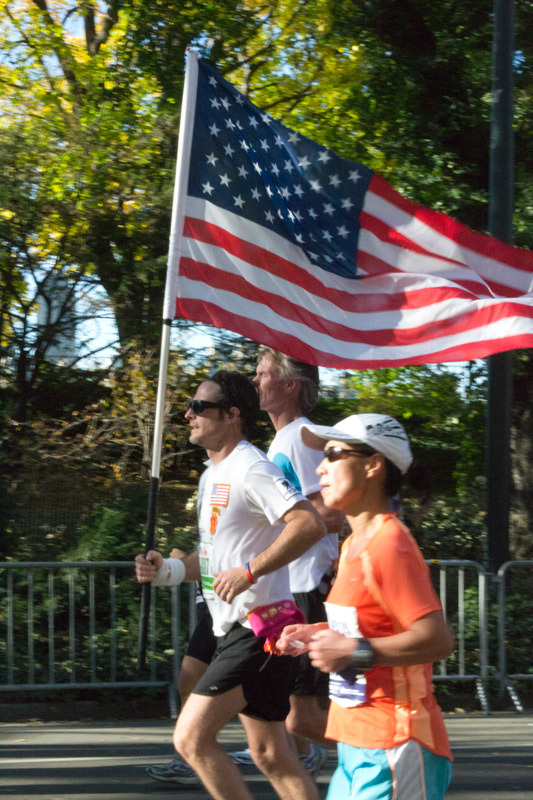 I’M not sure exactly how many people ran in the New York City marathon yesterday. I’ve seen figures of 40,000 and 45,000. 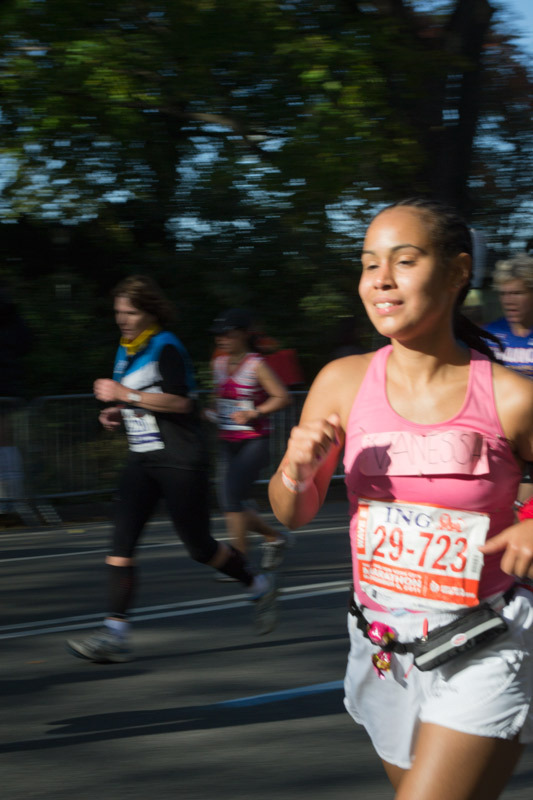 According to the New York Times‘ On The Run blog, 18,000 dined at Tavern on the Green in Central Park at the marathon eve dinner. 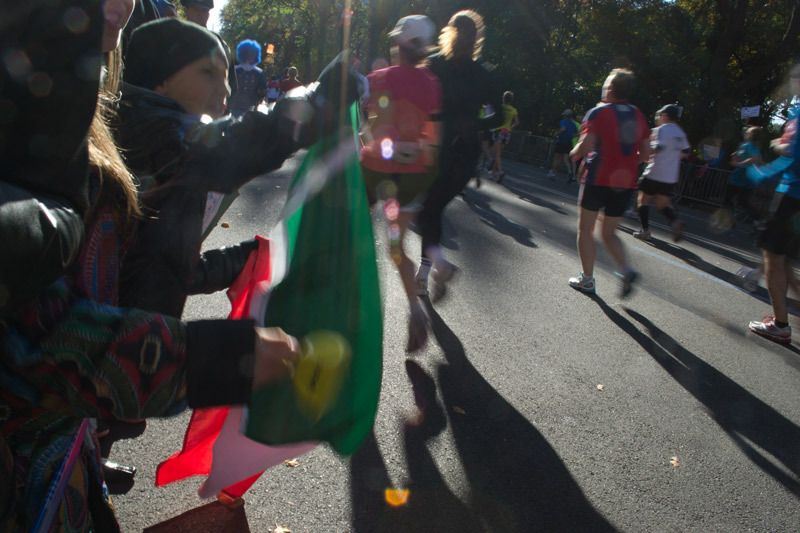 But I reached Central Park at 90th Street just before 1 p.m.—more than two hours after the race had begun, and way after Kenyan Geoffrey Mutai had crossed the finish line in a record-breaking 2 hours, 5 minutes and 5 seconds—and the pavement was still being pounded by an unending streak of runners. Spectators squeezed together on the sidewalks, some waving flags and pom-poms, some brandishing cameras (like me), and others yelling encouragement at brief intervals. The enthusiasm was so infectious it made me feel like even I could do it (I can’t). I tried to capture a sense of movement, a feel of the sunshine, and some of the enthusiasm that was in the air that day. Enjoy! P.S. 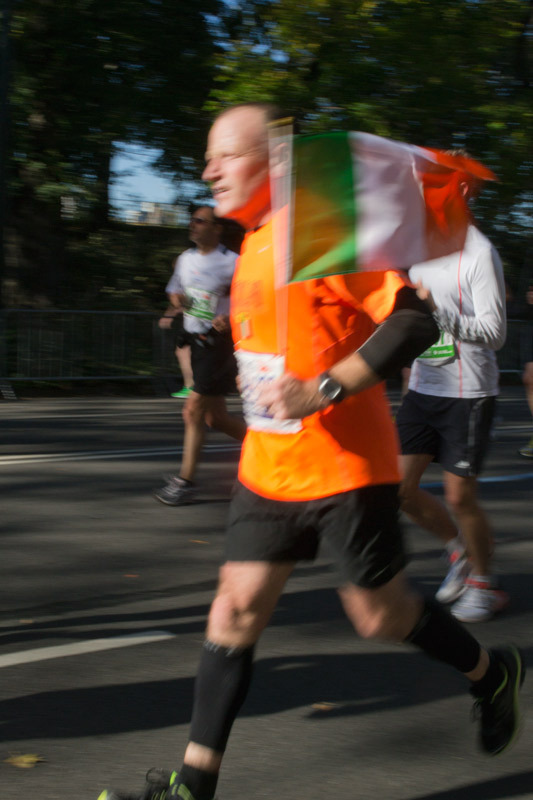 If the marathon passed you by entirely (wait—there was a marathon in the city yesterday? How come no one told me? 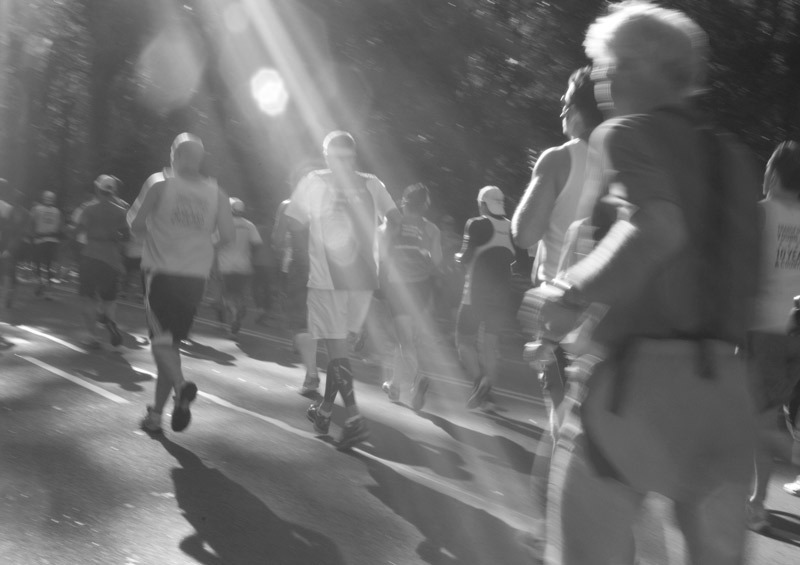 ), check out this cool video made by compressing photographs of the marathon taken by Benjamin Norman into a one-minute composite.